The Google Assistant has taken up a new form with the first of many devices to come – the Lenovo Smart Display. It’s pretty simple, as all it is really is a Google Home with a display. It can show you real-time information, photos, and more. Pretty useful to have around the house, as you can simply view information important to you at a glance. 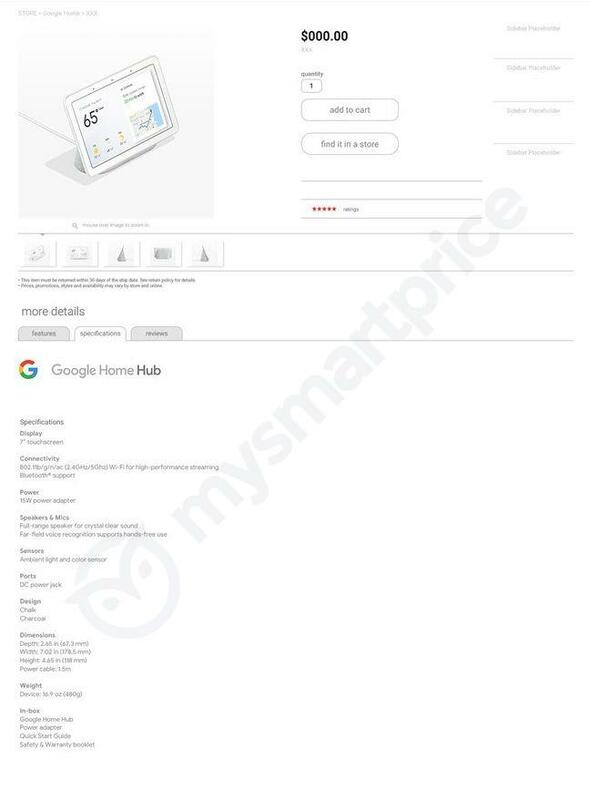 Google seems to like the concept, as the Google Home Hub is going to be releasing later this year and – thanks to renders from MySmartPrice – we’re getting an early look at it already. 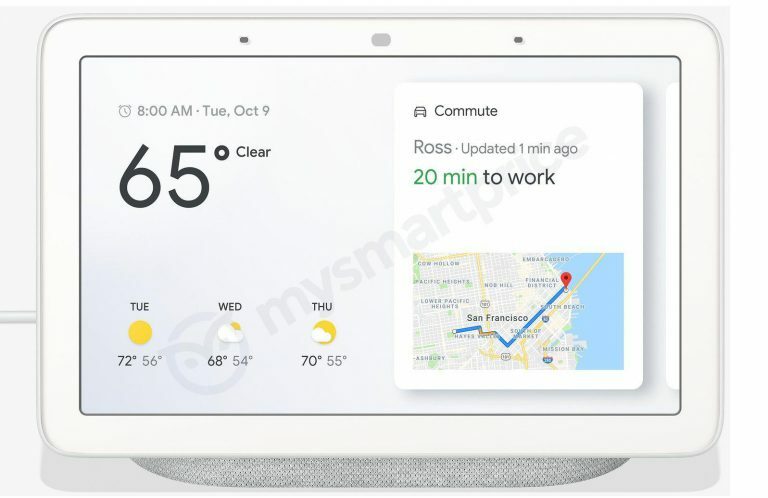 The Google Home Hub is powered entirely by the Google Assistant, with no immediately apparent underlying operating system. It features a 7-inch LCD touchscreen to display information, flanked by a large speaker and a single mute button. A display is useful for a number of reasons, as it can be easier for users to process the information given to them. That’s without even pointing out the capabilities it can have for music streaming, again like the Lenovo Smart Display. The features list specifically mentions YouTube Music, Spotify, and Pandora. You can also use it as a security camera paired with a Nest Cam, streaming its feed directly to the screen. There is no mention of YouTube streaming or Netflix though. 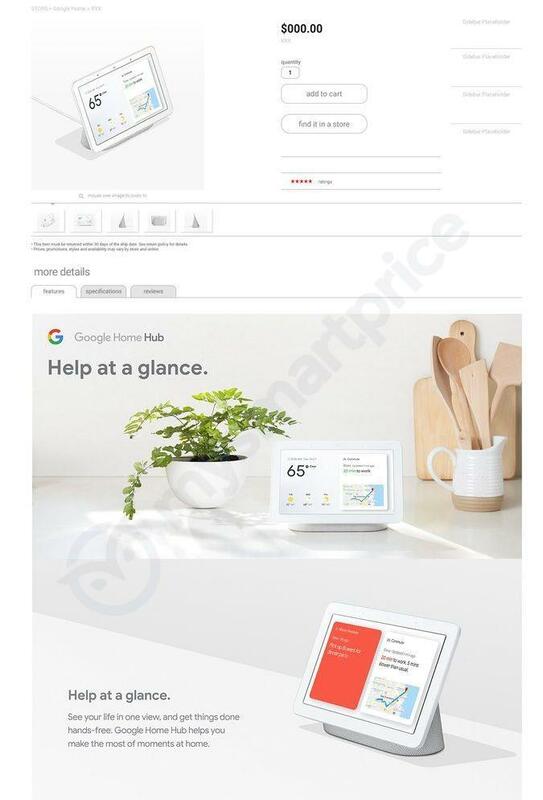 The Google Home Hub is expected to support all of the features you may have come to expect from the Google Assistant. You can ask it to play music, give you information about your commute, and even show you photos thanks to Google Photos integration. It supports both 2.4GHz and 5GHz networks, with a Charcoal variant confirmed as well from its specifications sheet. 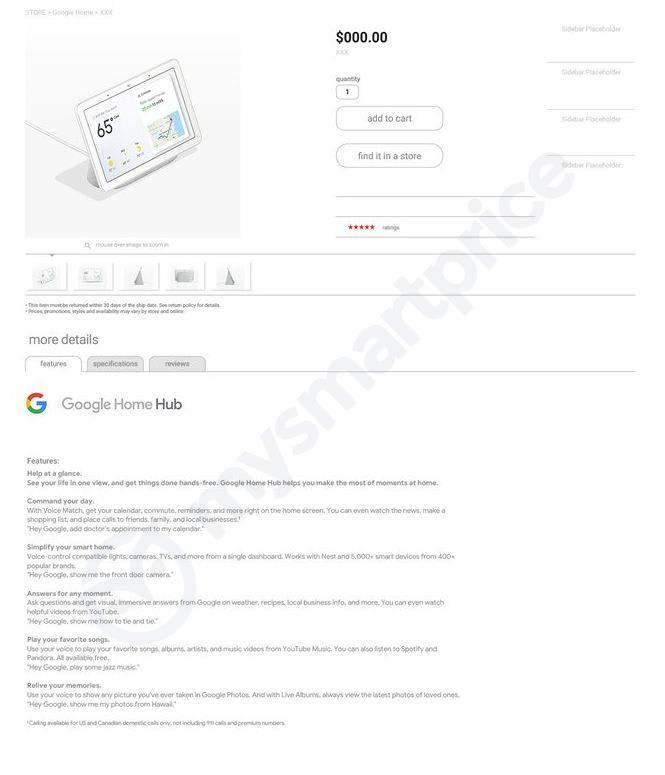 The Google Home Hub even supports ambient light sensors and color sensors, though no webcam appears to be present. How much it will cost though is unknown. 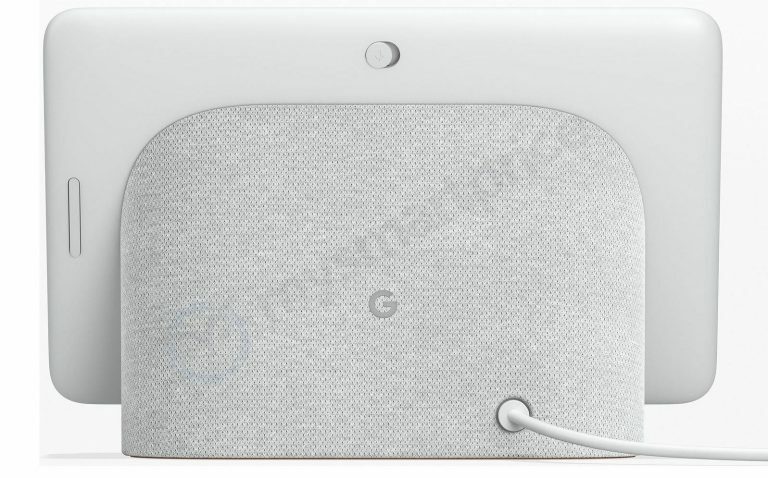 Google appears to be gearing up for its release by Christmas time, which may see it announced alongside the Google Pixel 3 and a possible Pixelbook successor. We’ll be sure to follow Google’s event closely to see what exactly it is they have in store. Android Authority is reporting that the speaker could cost as little as $149. This is $50 cheaper than the Lenovo Smart Display, which has an 8-inch display. The 10-inch model is $250. 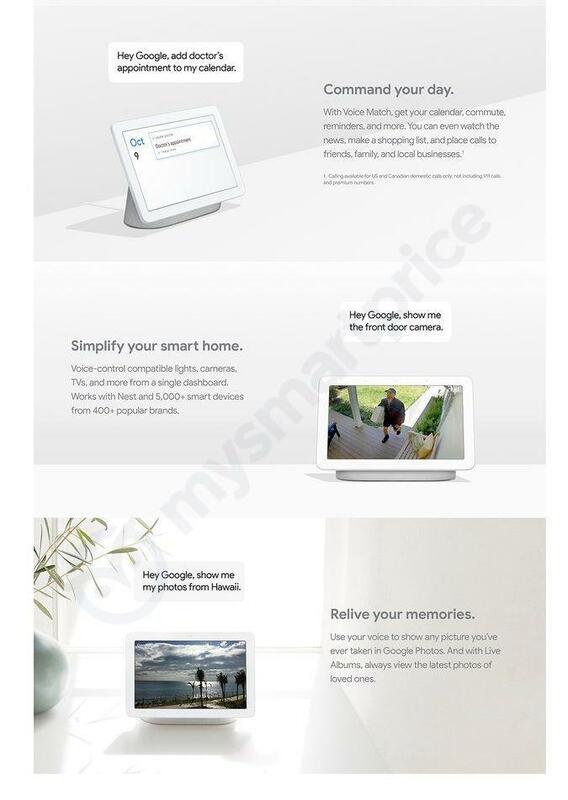 The Google Home products have had reasonable prices, and this would certainly fall in line with that.